Every year, more than 3.5 million children under age fifteen require medical treatment for sports injuries, nearly half of which are the result of simple overuse. 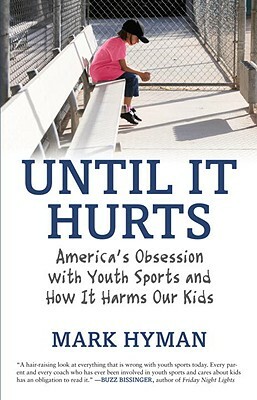 Journalist Mark Hyman investigates the evolution of youth sports from mere games to full-on quests to turn children into tomorrow's superstar athletes by pushing them beyond physical and emotional limits. Opening up a crucial discussion about the perils of youth sports culture today, Hyman offers the solutions answers we need. Mark Hyman is a journalist, frequently contributing to publications, such as The New York Times and Sports Illustrated, and he was a former writer for BusinessWeek and Sports Business Journal. In 1998, he assisted Baseball Hall of Fame broadcaster Jon Miller in the writing of his memoir, Confessions of a Baseball Purist. He has appeared on panels and led workshops for the Sports Lawyers Association, the American Press Institute and the Associated Press Sports Editors. In 2010 he was honored as one of 18 Sports Ethics Fellows by the Institute for International Sport at the University of Rhode Island and the Positive Coaching Alliance at Stanford University. He currently teaches in the sports management program at George Washington University.